This page is managed by the Eastern Cape Branch of YWP-ZA. 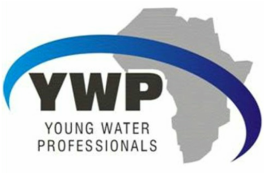 You can contact us at YWP.ECape@gmail.com if you have any questions or would like to get more involved. We would love to hear from you! Many national and provincial parks have unguarded bodies of water and some sites apply a “No Swimming” or “Swim at your own risk” policy. This dire situation must be examined against a backdrop of other studies conducted in South Africa. The Department of Sport and Recreation commissioned the Human Sciences Research Council (HSRC) study in 2000 which revealed that only 1 % (one percent) of the South African population participate in swimming activities. While this figure is believed to be understated, with participation figures often being estimated at 10-14% of the population who can swim or have access to water safety education, the fact of the matter is the figure of those who can’t swim or do not have access to water safety programme is extremely high.